Antique Baccarat yellow wheatflower paperweight. A yellow wheatflower is haloed by a lush crown of seven leaves and dressed with a slightly curving stem and its attendant foliage of symmetrical trios of leaves. Its two tiers of six brown-dotted yellow rounded petals are joined at their nexus by a complex white stardust cane with green bull’s-eye core. Clear ground. 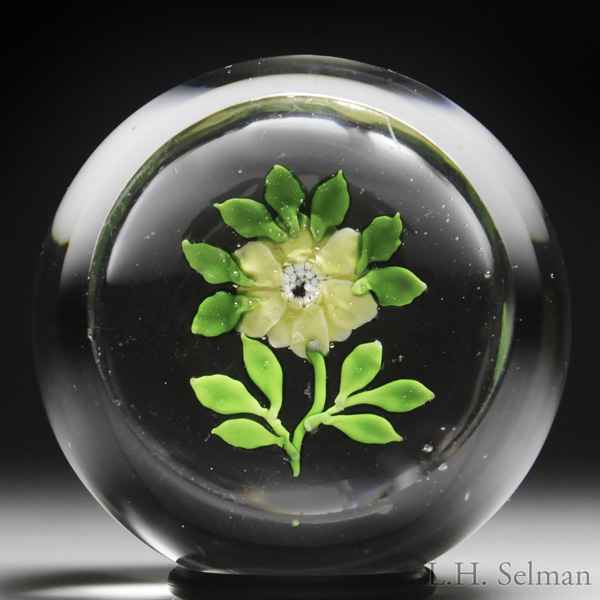 "This uncommon Baccarat flower is seen in two color combinations. Most of these flowers have pointed petals but examples with rounded petals are known." 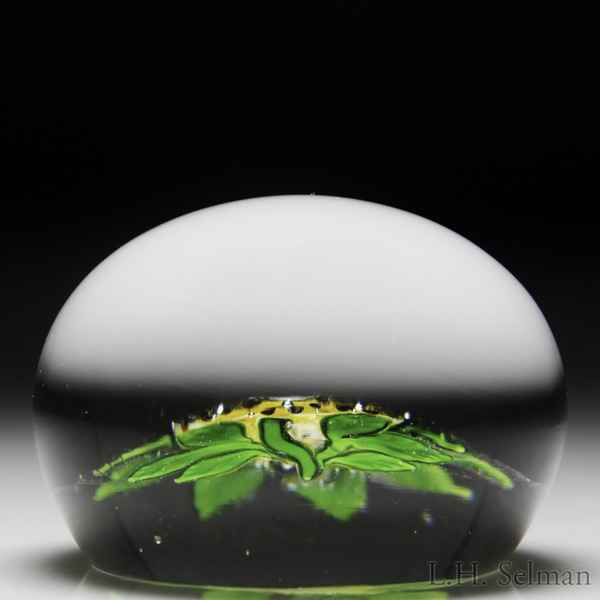 —Baccarat Paperweights; Two Centuries of Beauty. From the C. Frank Kireker Collection. Diameter 2 1/2".